Before you start reading this, I would like to ask you to close your eyes for 10 seconds. Please do this now. It’s tough, right? 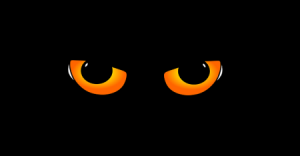 We really need our eyes and are pretty powerless without them. The first thing we do when we wake up in the morning is to open them, and the last thing we do in the evening when we go to sleep is to close them. We are now on the eve of a new revolution in which our electronics will also adopt the power of sight. A large part of this new sensing component has already been widely adopted by our electronics in the form of their cameras. At home in my family of five, I count about thirty. Two cameras per mobile phone and tablet; one in each laptop; we also have a few digital still cameras; and then there are some cameras gathering dust as part of our old cell phones that haven’t yet been recycled. 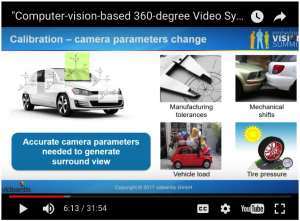 The talk we gave at the Embedded Vision Summit in Santa Clara earlier this year is now available on YouTube (requires registration) and SlideShare. The talk describes how 360-degree video systems use multiple cameras to capture a complete view of their surroundings. These systems are being adopted in cars, drones, virtual reality, and online streaming systems. At first glance, these systems wouldn’t seem to require computer vision since they’re simply presenting images that the cameras capture. But even relatively simple 360-degree video systems require computer vision techniques to geometrically align the cameras – both in the factory and while in use. Additionally, differences in illumination between the cameras cause color and brightness mismatches, which must be addressed when combining images from different cameras. Seeing the full video requires free registration at the Embedded Vision Alliance, which gives you access to hundreds of great videos. Summer is over and the show schedule is ramping up again. We’re looking forward to catching up with our customers, partners and colleagues at these upcoming events. This one-day event will be held in Hamburg, Germany on September 6th. The event is only open to Embedded Vision Alliance member companies, but do let us know if you’d like to attend since there’s a possibility to bring guests. This is a great opportunity to meet key people working on embedded vision. AutoSens September 19-21, Brussels, Belgium Meet us and see our talk at this key automotive sensing event. Embedded Vision EU 12-13 October, 2017, Stuttgart, Germany We’ll attend and speak at this first European conference on embedded vision.